597 mm overall with 229 mm black coated stainless shovel head. Shovel head features serrated edge for cutting through light brush or small roots when digging. Compact, folding design can be quickly secured in position. 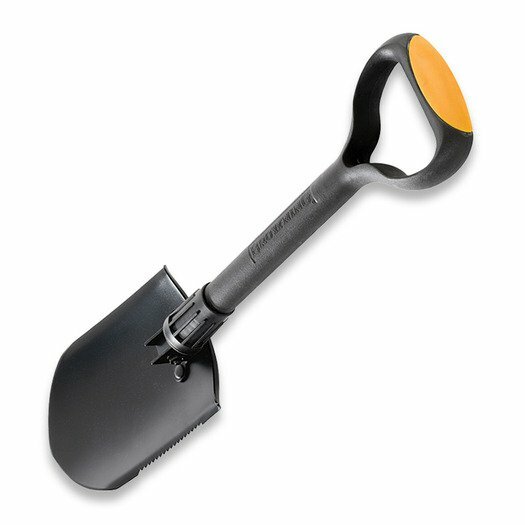 Can be used as a shovel or angled as an entrenching tool. Features a cushioned D-handle to provide a firm grip. Designed by Russ Kommer. Hang packaged.